Queersay the new social forum launching in Amsterdam & London! At a time where the community is more visible than ever. In an era where everyone is enabled to an opinion is all Visibility good? So in this time where the mainstream media and corporations seem to be openly accepting the LGBTQ + community does the idea of what is needed to be explored and what does this mean, subcultures are diluting. We have a very special moderator three incredible speakers lined up and you will have your opinion in the Queersay Fishbowl. Paul Burston is the author of five novels including the bestseller ‘The Black Path’. His journalism has appeared in various newspapers and magazines including The Sunday Times, The Guardian and Time Out. He has also written and presented documentaries for Channel 4. 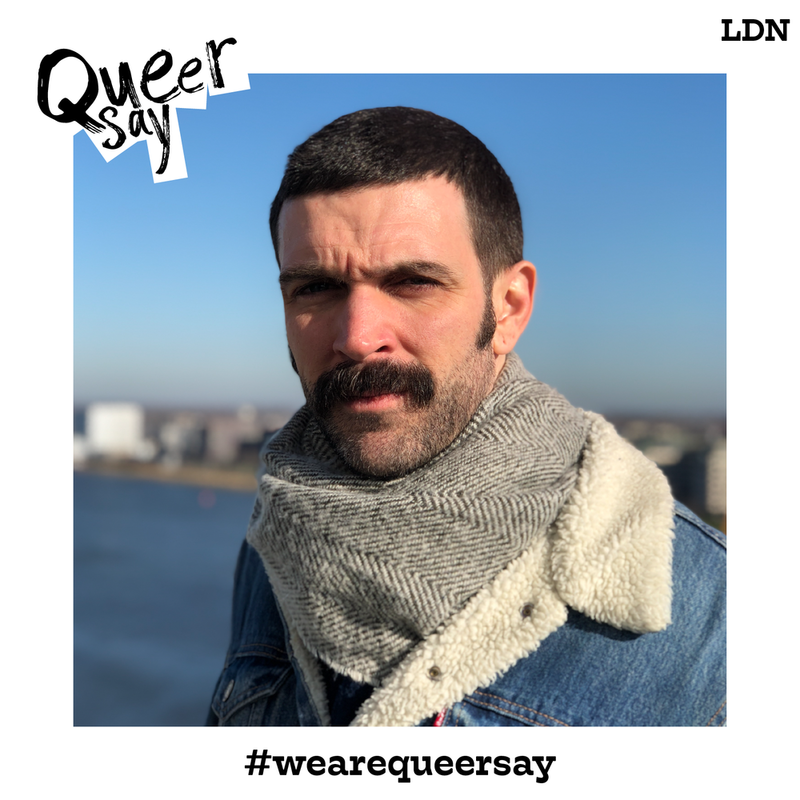 He is the curator and host of award-winning literary salon Polari at London’s Southbank Centre, and the founder of The Polari First Book Prize for new LGBT+ writing. His new novel 'The Closer I Get’ will be published in 2019 as part of a major two book deal with crime fiction specialist Orenda Books. Edinburgh-born drag queen Ripley uses performance to question and explore current socio political issues. Combining a mixture of comedic lipsync, film and music, Ripley aims to bring attention to problems facing the LGBTQ+ and wider community, and encourages political action. Ripley began her drag career in 2015 at Edinburgh’s Church of High Kicks before dipping her toe into the London scene. In 2016 she won the It’s A Knockout competition at Halfway To Heaven and in 2017 launched her one woman show Like A Sturgeon at The Royal Vauxhall Tavern. This summer saw Ripley take Like A Sturgeon to Edinburgh Fringe where it sold out and received five star reviews. Dave Cross is a journalist, club promotor, DJ, record producer and ex major record company marking executive. Dave is Head Writer at Boyz magazine, where he has been since 2011, working with venues and performers in all areas of the LGBT+ bar and club scene including venue owners, managers, promotors, DJs and performers. He is on the committee of Drag Idol, the nationwide cabaret talent contest and has been involved as a judge for six years. He has promoted club nights at major venues and DJ’d at all of London’s biggest gay venues. For nearly 15 year he worked in the music industry as a marketing executive including time at EMI, Island and London Records. This year he has had two articles published in Attitude Magazine, both concerned with LGBT+ Characters in popular culture.